Drop-ins are welcome, but please email Sarina first to make sure a class has enough room or hasn't been cancelled. for improving strength and repetition for a balanced workout. Instructor: Sarina Dorie. Continue refining posture and stretching to avoid injury, muscle isolation for improving strength and repetition for a balanced workout. We will emphasize formations, leading and following, and more advanced techniques including popping, locking and fusion dance styles. Some belly dance experience required. Instructor: Sarina Dorie. 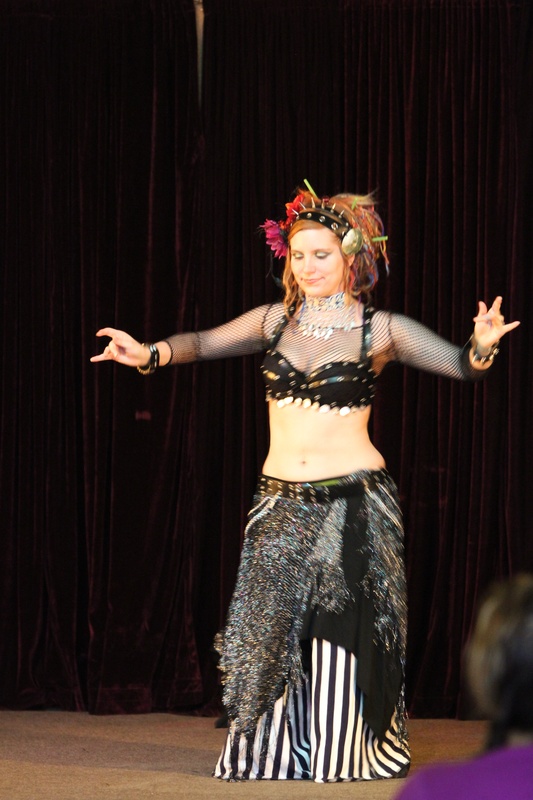 Looking for a fun belly dance class in the early evening? Try a class that focuses on repetition and drills to get the basics of belly dance. Focus on something different and energetic that uses upbeat music to get an aerobic workout as well as focuses on core strengthening to prevent injury. In Bellylicious Dance Class, we use belly dance drills and core strengthening exercises as a foundation for improving dance technique and skill. And we’ll have so much fun you won’t even know you’re getting an aerobic workout! $40 to preregister for 6 weeks classes or $10 drop ins. Space is limited at Reach. Please email Sarina first to reserve a spot or make sure class hasn't been cancelled.